The owners of Special Saloon 9005 have relocated their vehicle to the South Devon Railway. 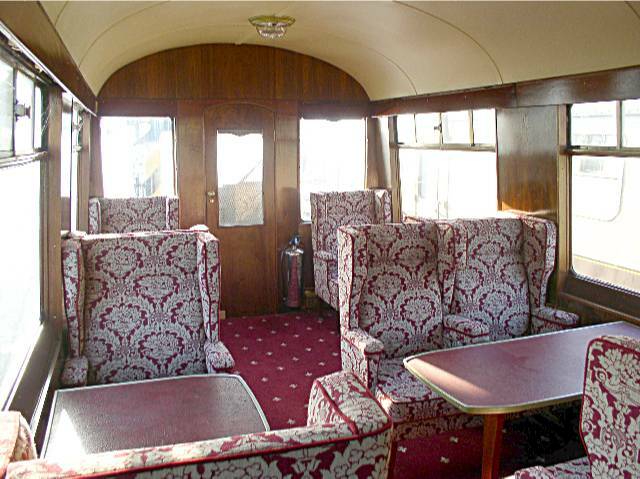 9005 was built in 1937 as a special saloon for special charter traffic or inspection train use. It is equipped with a kitchen, galley, fridges, wine coolers, store room, guards brake and two seating areas. One seating area is equipped with first class seating for ten and the other is an observation saloon with seating for 7 plus a useful area that can be used for setting out tables for buffets. It also has the advantage of being corridor connected at both ends. The plan is for 9005 to become part of the South Devon Railway dining train to complement the two Super Saloons 'King George' and 'Duchess of York'. This will provide greater flexibility for SDR dining services with the Victorian saloon 249, 4805 (RMB), SO 4785, and BSK 35326 (Kitchen/Guard) also being available for use. It is planned that 249 will be able to run with the former GWR Dynamometer Car No 7 from time to time to provide a vintage set. 9005 will also be available for private charter work and as a special saloon added to service trains for small private parties. It is also expected to be used for cream teas on some Sunday services in the Summer. 9005 has been stored for the last two years at Meldon Quarry on the Dartmoor Railway and was beginning to suffer damage from the Dartmoor weather where the North West corner of the moor suffers from greatly increased rainfall because of its position. The vehicle is now under cover at Buckfastleigh where it will receive remedial works to stop further water ingress and damage to veneers and carpets. 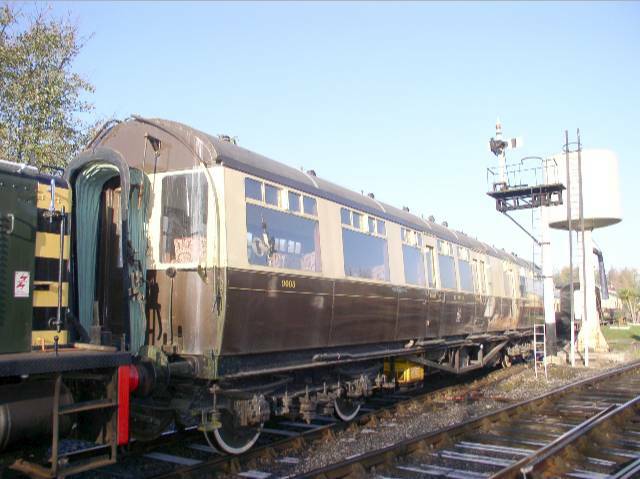 It was last used on a short length of isolated track in the forecourt of Torquay Station where it had been hired to the Luxury Alliance and was used in conjunction with an Edwardian style sleeping car to provide a hotel on wheels. Our passengers are going to enjoy their view of the River Dart.